Hello there, today I have a super exciting announcement to make. I will be joining the Hero Arts Creative Team in 2017. As I am sure you know, Hero Arts are well renowned in the industry for producing amazing, high quality products; as well as being environmentally friendly, and I have been a fan of them for years. To celebrate, I made a card (of course!) and I also have a giveaway to share. For my card, I started off by stamping the Glasses Bold Prints Background Stamp on to a piece of aqua cardstock with Versamark ink. I then applied clear embossing powder and heat set. The panel was cut out using one of the dies from the Rectangle Infinity Die Collection. I took the Hello Stamp & Cut set and cut the hello die from black cardstock four times. These were layered up to create a dimensional word. The sentiment, from the same Hello Stamp & Cut set, was stamped in black ink on to a piece of white cardstock and cut out. The glasses panel was adhered to a white A2 card base with foam tape and then the sentiment piece added on top with ATG. I then added the word die cut with Multi Medium Matte. To be in with a chance of winning a set of Hero Arts Rectangle Infinity Dies, as well a set of Circle Infinity Dies, please leave me a comment on this post telling me what you are looking forward to in 2017 (craft wise or non-craft wise). The giveaway is open worldwide and will close on the 6th January 2017 at 23.59 GMT. A winner will be announced shortly afterwards. Only one comment per person please. I will be sharing cards with Hero Arts products both here on my blog, and also over on the Hero Arts Blog. The team have been incredibly welcoming and I cannot wait to get creating with such a friendly and talented team! Thanks you so much for visiting me today. I hope you have a great day! Congratulations Michelle! They are lucky to have you! Congratulations. Always have been a fan of your work and really enjoyed your bio on the HA blog. I didn't know you were a nurse. I am looking forward to learning how to do videos for my cards in 2017. Congrats on joining the Hero Arts team! In 2017 I want to make sure I utilize the stamp sets and supplies that I have. I want to make more cards and more different styles and techniques. I always love seeing your beautiful cards! I am looking forward to learning new techniques and to spend more time crafting!! Congratulations! Looking forward to your cards with HA. Congratulations Michelle! Very well deserved and I look forward to seeing your Hero Arts creations. Hi Michele, congratulations on joining the Hero Arts team. I am pleased to meet you through the Hero Arts blog and have subscribed to your blog. I look forward to more techniques and clean and simple card making in 2017. This card is a perfect example and one that I will recreate with different color and background stamp. Thank you for inspiring us with your beautiful work! I look forward to seeing more of your cards! Welcome to the Hero Arts design team. Love this card. I'm looking forward to getting organized and getting rid of unneeded stuff in 2017. A BIG congratulations, Michelle ...well deserved! I'm looking forward to seeing your beautiful cards. Terrific card today and the sentiment is perfect for the background image. I love clean and simple cards, so I am excited to see what you design. Congratulations Michelle! I have been viewing your UTUBE lessons for quite some time, and am not surprised that Hero Arts has included you. What an incredible team to be part of! Best wishes in the new year. Congratulations, Michelle. Your card is cute and simple. I look forward to trying different techniques. Some are easy and others require me to watch some good YouTube tutorials. I love when artists show us how to do something new. Congratulations Michelle, and I must say that HA choice was a wonderful one. I have been a fan of yours almost since I started card making. I'm looking forward to lots of things from the new year. My oldest daughter graduates from college. We just got a new puppy (Duchess) so lots to happen with her. And of course I hope to grow and improve on my card making skills. Congratulations!!! Looking forward to practicing techniques (and I mean practice - alot!!!). And the birth of my grandson. Congrats on joining hero arts~ I am looking forward to (with much trepidation) my daughter going off to college! Ack! Where did 18 years go????? Congrat's! I know you must be over the moon. Hero Art's have been one of my favorite craft products for as long as I have been scrapping and card making. What I look forward to this year? oh that's super easy! I have this grand idea to create watercolor cards for Christmas. Unfortunately, my skill wasn't as good as my great idea. So for Christmas I asked for crafting gift cards. I now have lots of watercoloring papers, inks, paints, lots of new stamps, etc..So I plan to practice, practice, practice! Not only will my skills improve greatly but I'll also enjoy being able to take my time, play, & create with no stress about meeting deadlines to mail cards! :o) It's a win, win! I'll have fun, and by the time next Christmas rolls around..I will have loads of gorgeous watercolor cards to send to all my friends and family! 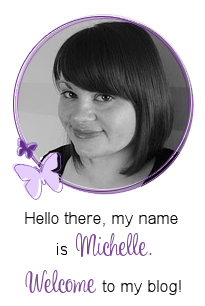 Congratulations Michelle :)I hope you really enjoy working with Hero Arts, they are one of the first stamp makers I knew about and I have a lot of their stamps. I always enjoy looking at their catalogue for inspiration. I am aiming to become more organised so I have more time to craft as this year it has taken a back seat. Congratulations, Michelle! I look forward to getting organized with my crafting supplies so that I can be more productive. Thanks for the chance to win this fabulous prize! Congrats, Michelle! They're so lucky to have you on board! Many congratulations Michelle. You'll take your own unique crafty magic with you and give them something they'll love. For me ... what I'm looking forward to in 2017, is to get my health back to a place where every day is no longer filled with pain (and misery because of the pain). I so want to be able to spend more time crafting, which I know I could do if my health became more stable and 'copeable' with. Congrats! I love Hero Arts and have been a customer for many years. I look forward to more playtime with my card making stuff and learning lots of new techniques. Congratulations Michelle!! Can't wait to see more of your Hero Arts creations!! I am looking forward to learning new things, both professionally and personally. Congratulations Michelle, you deserve it! You're so talented and I am sure you will bring lots of inspirations to the design team as well as our crafters. So glad for you! Congratulations on becoming part of the Hero Arts family. I have been a HA fan for 20 years and own a ton of their products, so I always look forward to learning new techniques and ideas for using them. I have not seen your work before but like that aqua card with the glasses, so I want to see more. Happy New Year from across the pond. Congratulations! I love your style and look forward to seeing more :). Looking forward to spending more time in warm limited during winter. I have more time to create when I'm on extended vacation. Yeh! Congrats on joining the Hero Arts team! I am really looking forward to my vacation in Hawaii in February! It's been a really long year. I care for my handicapped mother, so some time away is really appreciated! Congratulations Michelle! I love Hero Arts products so it will be really good to see how you inspire us with your creations. I'm looking forward to all the building work being finished although I think it may take until 2018! the purchase of some new furniture pieces, I'm looking forward to getting my craft room well organised and more efficient. Wishing you all the best for 2017 and excited to see what you share with us! Congratulations Michelle, I am so very happy for you to be joining this team - I have quite a few Hero Arts products (of course I always want more) and think they are great quality products. 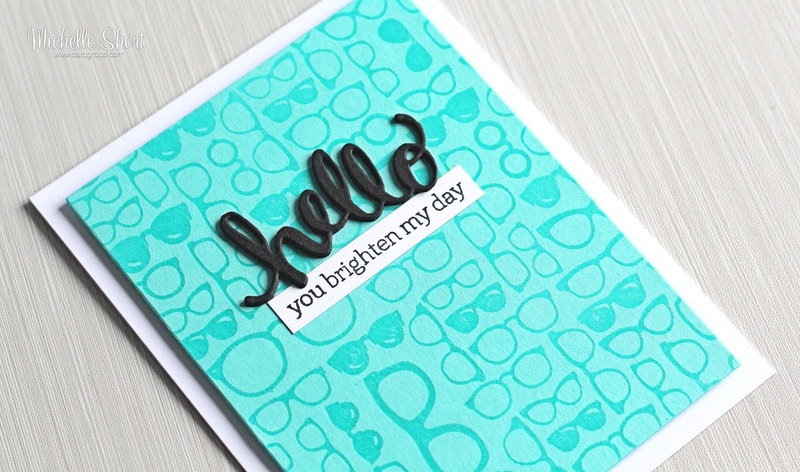 Love your bright and fun card, that blue cardstock is perfect for the sentiment and background stamp! This year, is all about YouTube for me, plus of course I will do some more classes to upskill myself - looking forward to it! Congrats on joining the Hero Arts design team. That has to feel amazing. I've always wanted to join a stamp company team. Non-craft-wise, I am looking forward to watching my twin grandbabies grow. They were born 5 weeks early in October and were very tiny but are getting bigger by the day. Craft-wise, I'd love more time to make cards that individually fit the recipient. I can do that sometimes but if I get tight on time I send a more generic card. I love making a specific card that fits my recipient. Happy New Year! Sounds like an amazing year of fun for you. Two things for me to look forward to - I will become President of Bowls England in February (eeeek!!!) and travelling a lot - but when I am home I will be locking myself away in the craft room to relax and make messy! Congratulations on joining the fab Hero Arts team too. My son and daughter-in-law are starting training to be foster parents. I'm looking forward to the possibility of being a grandma in 2017! I'm looking forward to learning to use Lightroom for my photos. Super cute card. I love that background stamp. First I am going to do everything I can to be the best Grandmother ever to my first grandchild. Next on the list I am looking forward to improving my coloring techniques by taking some marker and colored pencil classes. Hopefully I will improve my golf game too. Wow that's a lot to do. Good luck and look forward to seeing more of your work. I am looking forward to meeting 3 great grand babies. Twins, a boy & a girl, are due any day now. And a girl, due in April. The moms are my twin granddaughters. This will up the count to 3 girls and 2 boys. Congrats on being chosen. Know you are tickled pink and sure you will show us some really gorgeous cards. Look forward to seeing a variety of your work. Thank you for sharing the happy news. Fabulous card...just love all those wonderful glasses! My goal for 2017 is to send out more cards. Happy New Year. Congratulations on becoming a part of the Hero Arts team! In 2017, I am excited to finally take the time to hone my creativity and focusing on personal improvement. Congratulations on your design team assignment. You definitely deserve that. Looking forward to more inspiration especially working with Hero Arts. It is a great company and have always enjoyed their stamps. Congratulations, Michelle!!!! I am so excited for you!!!! In 2017 I'm looking forward to getting myself more organized---both in my craft studio and throughout my home. Congratulations - what a wonderful honor! I'm looking forward to seeing your creations. On a personal note, in 2017, I'm looking forward to reorganizing my craft room and learning new techniques in order to expand my creativity. Happy New Year to all!! So the past two years have been pretty rough health wise for me and finally ended up having surgery this past October and it's made a world of difference. I have Fibromyalgia so I'll always have health issues but the other issue that has been causing me issues for two years has, fingers crossed, been fixed. So I haven't been able to craft as much as I've liked to because of my health. This past July we sold our house and are building a new house that's a rancher that will greatly improve my life. My husband made sure that I had a nice large Studio so we are in the process of packing up my space now to place it into temporary storage. I will pack a bag of some craft supplies out so I don't go totally crazy, hahaha. So I'm looking forward to getting into my new craft space and organizing it the way I want and then being able to craft again. Can't wait for 2017!! I love that glasses background!!! such a fun card!!! I am so excited for you to be joining Hero Arts!!! Congratulations on your new creative gig!! I am looking forward to seeing your projects over at HA and via your blog in 2017. HA is one of my favorite companies for so many reasons and their environmental awareness is one of the main reasons. I'm looking forward to more creativity in 2017 as I struggled this year due to a host of factors. Congrats on being on the team! I hope to be able to make more cards and sell them at craft shows. I also want to improve on watercolors, I love them so much! Lastly, I want more peace and less nastiness in the world next year. Accentuate the positive! Congratulations Michelle! 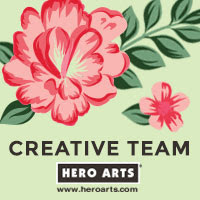 Hero Arts made a great choice adding you to their creative team!!! I am looking forward to doing some traveling with my hubby, completing my craft room organization and doing more stamping. Congrats! Great news for you, I am a big hero arts fan myself, they have great products. I look forward to finding a job in 2017. Congratulations!! Your card is super cool! I am looking forward to spending more time with my grandchildren and crafting with them!!! Fabulous news Michelle. Hero arts are a great company and I look forward to seeing your creations. For 2017 I would just like to be more sorted and spend some more time creating. Congratulation Michelle on joining the HA team!! I am looking forward to watching my 5 month old grandson grow and learn new things like crawling, walking and starting to talk. And making time for creating! Well done on your new venture. Looking forward to being inspired by your wonderful cards. I'm a big Hero Arts fan ! I'm looking forward to our nation coming together and a better America!! Pretty card! Love the fun background stamp you used! Congrats to you on joining the HA Creative Team! What I am looking forward to in 2017 is getting my craft room in order! It's a mess and desperately needs some organization! Congratulations on joining their team! I'm looking forward to organizing my craft supplies, which will help me have more time to craft, rather than searching for supplies! Not long found your website but love your style. Looking forward to more in 2017. Fabulous card - I really love the colour! I am looking forward to making more time to craft, working through my stash, and getting my craft space organised. Thanks for the chance to win! Congrats Michelle on joining the HA Design Team. I'm looking forward to trying out new crafting techniques and mediums that I've not tried/used before. In 2017, I hope to finally start that pile of sewing projects sitting at my machine. Congratulations. I am looking forward to retiring at the end of 2017. I have been building up products and want to make greeting cards, and sewing projects. I really love Hero Arts Products and look forward to your blog this year.